A good friend of mine is expecting her first baby next month. 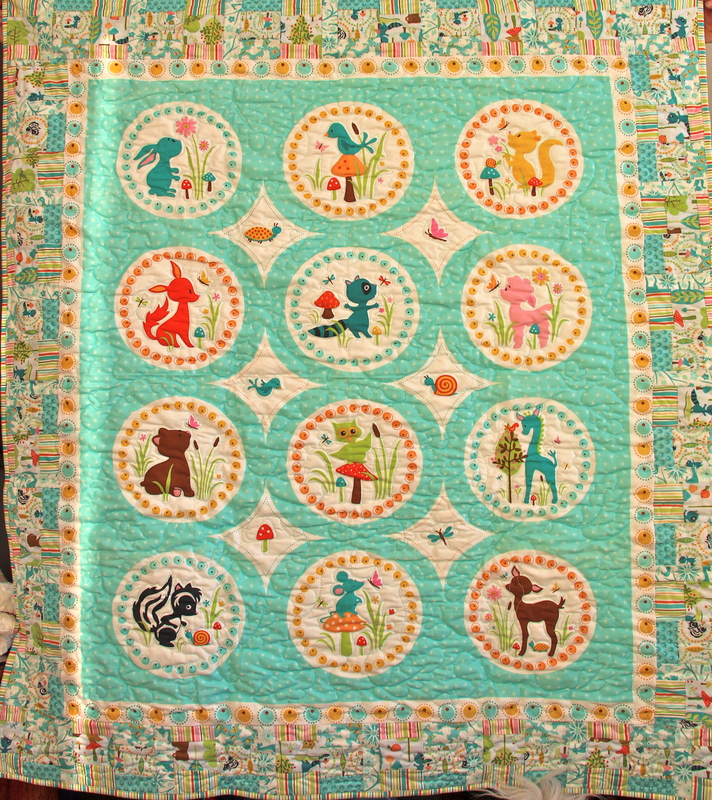 I had a ball making two baby quilts for her. 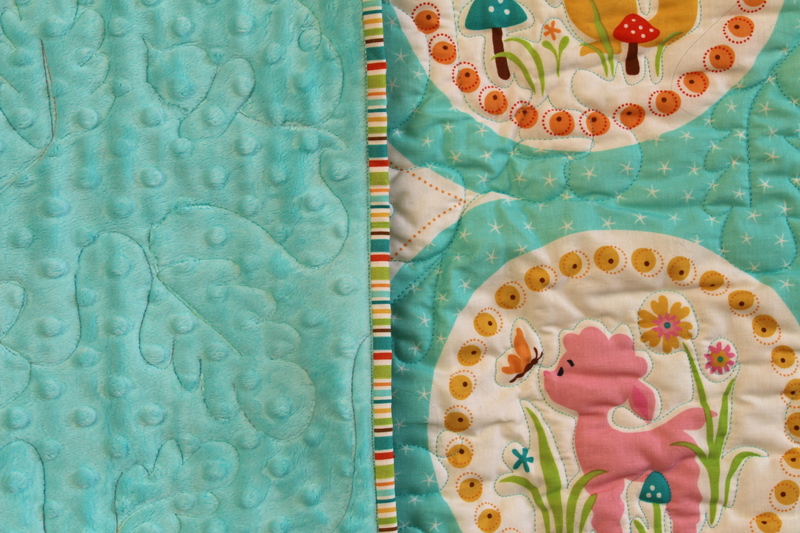 Well, actually I made four baby quilts. 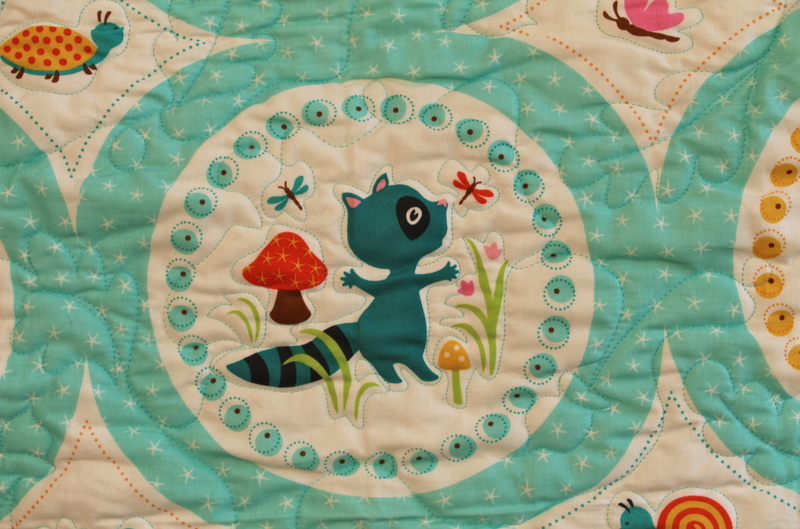 For some bizarre reason I was picturing her with a baby girl, so the first two quilts had a bit more pink in them. As soon as she told me they were expecting a boy, I started on two more quilts because when I looked at the original two quilts the pink REALLY stood out! It was actually pretty funny. 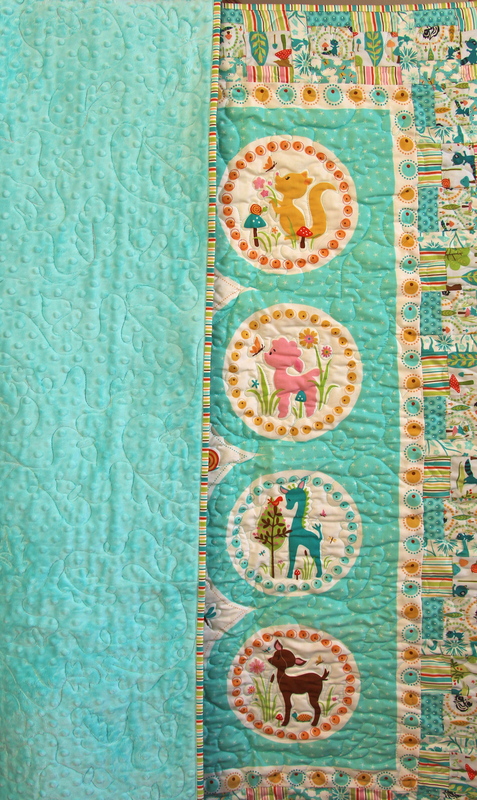 Here is my favorite one – I love the Minky back fabric and I just love all the animals on the fabrics on the front. Hi Diana – congratulations on becoming a grandma!! 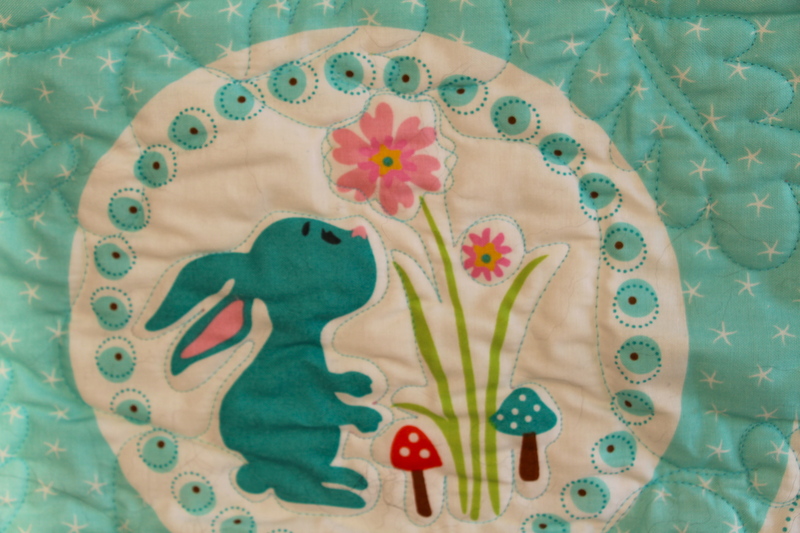 You are going to have a blast making a bunch of baby quilts! Very exciting!